Sea Furies of 802 Sqdn. over Cape Town, South Africa. L/Cdr. Mike Hordern piloting 107 'Q' of HMS. Vengeance. Supermarine Seafire Mk.XV. 100 'Q' (SW916). L/Cdr. 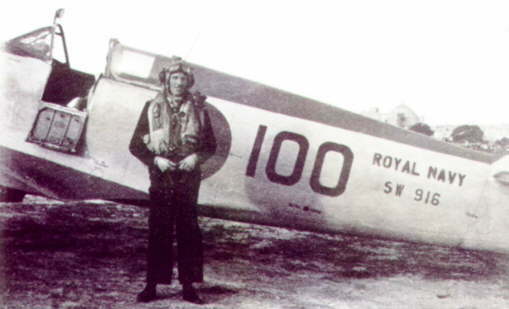 M. Hordern at RNAS. Ta Kali, Malta in 1947. 802 Sqdn. 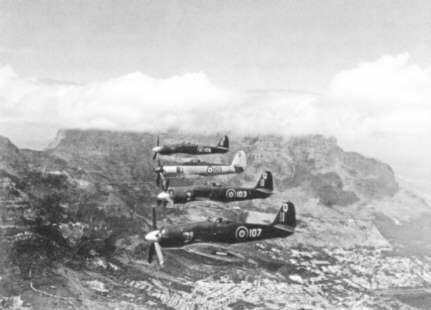 Seafires (forward) and 814 Sqdn. 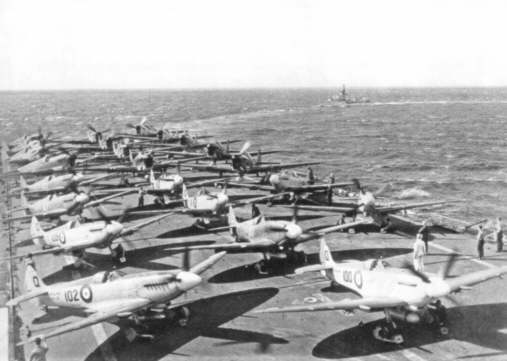 Fireflies (behind) on the flight deck of HMS. Vengeance. Crash tender in background. 802 Sqdn. 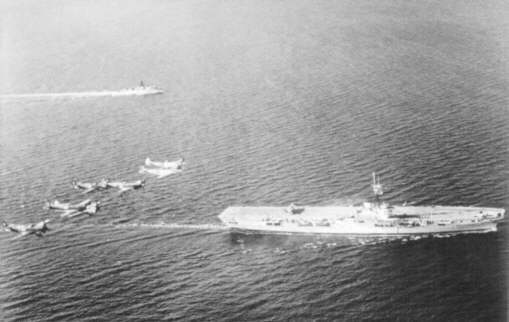 Seafires and 814 Sqdn. Fireflies above HMS. Vengeance. Crash tender in background. 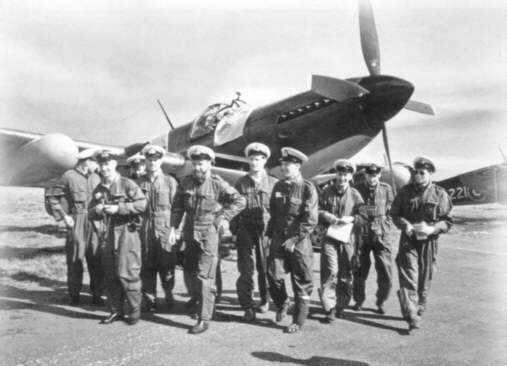 Pilots of 802 Sqdn. at RNAS. Ta Kali, Malta. L/Cdr. 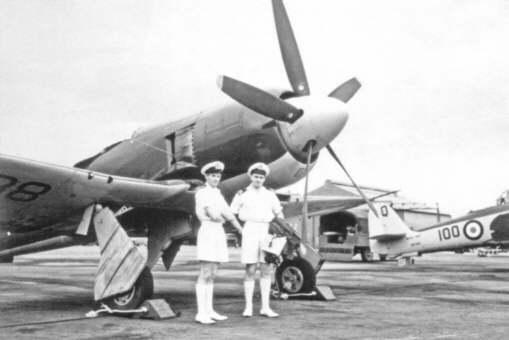 Mike Hordern (left) with his Seafire 100 'Q' (SW916) in the background, at Brooklyn, near Cape Town, South Africa.